July is a time to celebrate friends, sunshine, and indeed, the gin rickey. 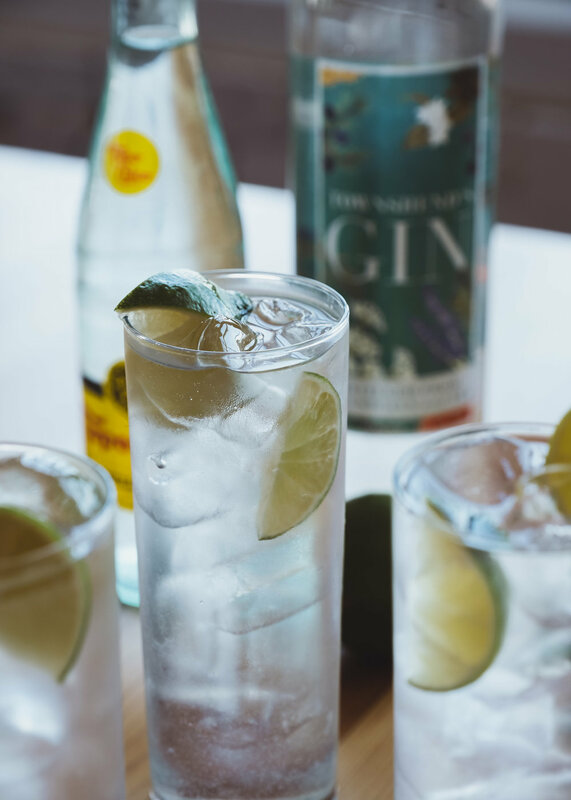 With the classic recipe comprising nothing more than gin, lime, soda water, and ice, the gin rickey is a refreshing counterpoint to the excesses of summer. As longtime champions of the gin rickey, we at Townshend’s Distillery observe Gin Rickey Month by making the gin rickey our go-to drink during the month of July. This year, Townshend's Distillery and over 25 Portland-area bars are teaming up to serve gin rickey(s) and empower our local community. We're proud to partner with local nonprofit, Not Ok PDX to promote Gin Rickey Month as an opportunity to engage in the conversation about sexual assault and what we can do to empower and protect each other. To share the mission of Gin Rickey Month, a limited-edition pin can be purchased for $10 at the Townshend's Distillery tasting room and at participating bars during business hours. All profits from Townshend's Gin Rickey Month enamel pins will be donated to Not Ok PDX. Not Ok PDX is a female-run nonprofit dedicated to helping decrease instances of sexual violence and predatory behavior through providing bystander intervention workshops to service industry staff. Through their Safer Bars program, the local nonprofit aims to create an atmosphere of safety, community, and empowerment in Portland-area establishments. Please visit NotOkPDX.org for more information. Bold locations will have Gin Rickey Month pins for sale. All profits from pin sales will be donated to Not Ok PDX. Many bars will be donating $1 per gin rickey sold to Not Ok PDX as well. Please see individual locations for details. Want to make your own gin rickey at home? Try this classic recipe. Using a collins glass filled with ice, add the gin and top with soda water. Squeeze half a lime over the top and use that as the garnish. So please, indulge with us in celebrating Gin Rickey Month however you like – have fun and enjoy your rickey(s) responsibly!